One hundred and eighty years ago, on January 19, 1839, Paul Cézanne was born in Aix-en-Provence, a city-commune in the south of France, approximately 30 kilometers north of Marseille. 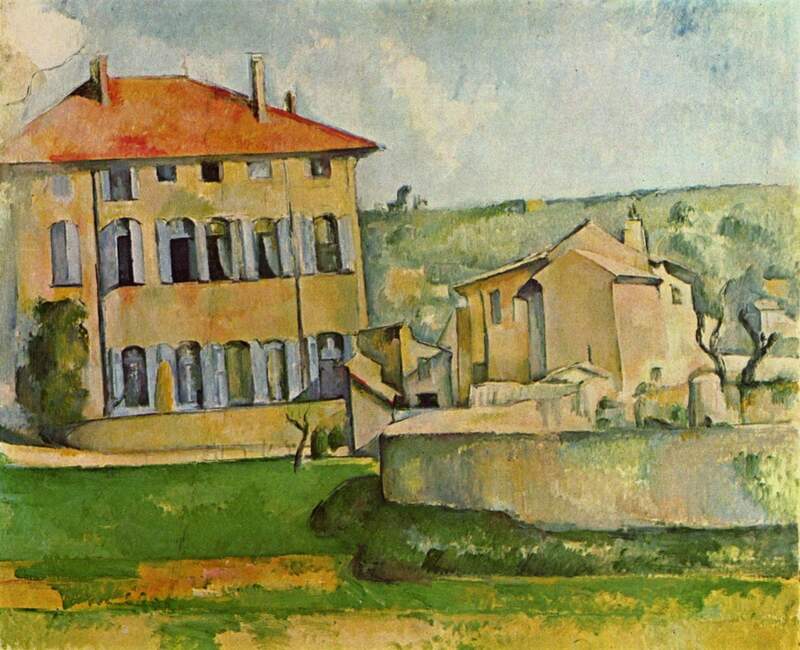 In 1859 when Cézanne was 20 years old, his father, a well-to-do banker, purchased a large country house and farm, called the Jas de Bouffan, just outside Aix-en-Provence. The home, with a magnificent view of Mont Sainte-Victoire, the surrounding groves of chestnut trees, and the warm light of a summer day in Provence offered Cézanne an ideal setting for artistic pursuits. Over the years, he produced thirty-seven oils and sixteen watercolours of this remarkable family estate. Perfect time to do a tribute to him. I learned a bit about Cezanne here, today! Tell me more! One of my Favourite Cezanne quotes is: “We live in a rainbow of chaos.” I love that thought. The world is lucky that his father had the foresight to buy the house. The paintings are timeless! Two lovely quotes from the artists as well … thank you for your informative and beautiful post, Rebecca. May we embrace a creative life, filled with the wonder of being ever-present. I can only imagine how his father, a staid banker, would greet his son’s desire to an artist – the antithesis of what he believed to be the best for his son. And yet, in the end, he recognized a different way for his son. I agree with you – without his father, Paul Cezanne’s talents and art would be lost to our world. Thank you for your comments and visit – very much appreciated. A belated happy birthday to the wonderful Cezaane – and much thanks to him for all the joy we get from his paintings. How well said – joy from his paintings. 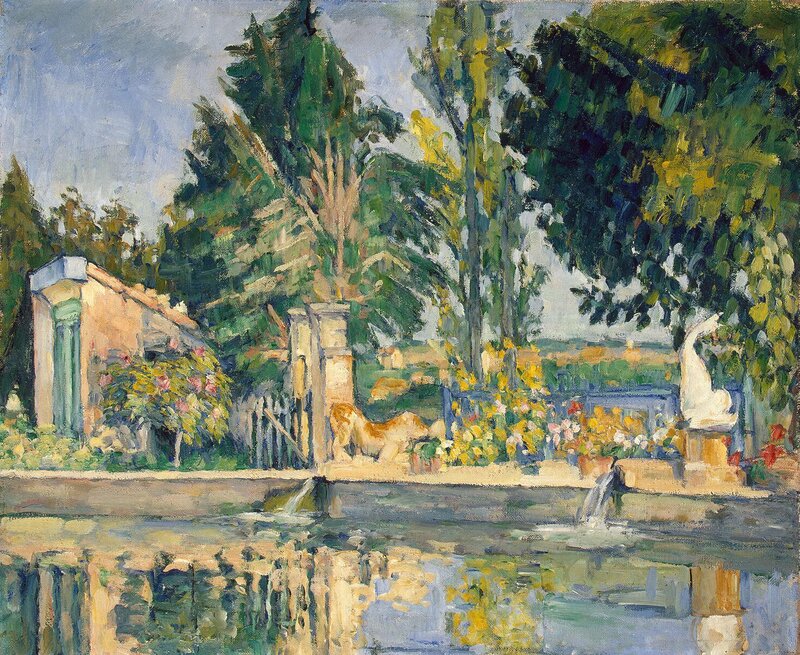 In my mini-research of Cezanne, I came across his thought: “I could paint for a hundred years, a thousand years without stopping and I would still feel as thought I knew nothing.” What an amazing, even heartwarming, statement – to know that there is still much to learn, to explore and yet know that there is more to know. It is an optimist nod to the future that more adventures are yet to come. What a wonderful place to wander/loiter/be inspired – especially when one is 20 years old, all thanks to decisions of a parent. Happy Birthday Pablo. Isn’t it interesting that location has so much to offer. I try to imagine the conversations between Pablo and his father, the banker. How did they come to understand each other, with their different life-views. But they did, and we are the happy recipients of their decisions. How wonderful it was for this artist to have a father who loved the countryside enough to buy a beautiful farm like place with a view of a mountain and chestnut trees. I am sure this was an inspiration daily for the artist even in his younger days. As you can imagine, Cezanne’s father was not overly enthusiastic about his son’s desire to become a painter. But he relented and provided for his son to continue his extraordinary journey. So we owe as much to the father as to the son! Coincidentally, my art calendar by the week is Cézanne’s Apples and Oranges! I LOVE that painting. Another art calendar!!! I didn’t know there was a calendar by the week. Lovely! I have enjoyed my art calendar because it allows me to consider the creative side of our lives, which seem to take a secondary place when we are thinking about our work and home responsibilities. Taking a brief moment to focus on a painting helps me to consider seemingly ordinary tasks through a creative lens. Happy Birthday to another irreplaceable impressionist and thank you Rebecca for highlighting them. Thank you, Cindy for stopping by. I wonder what Paul Cezanne would think if he knew how much his art continues to inspire, 180 years after his birth! Once a painting has been granted life, they have their own journey beyond that of their creator.